Increased efficiency in WaterNSW operations has driven down bulk water costs for most customers across regional NSW. The WaterNSW Rural Bulk Water Services Pricing Determination was released today by the Independent Pricing and Regulatory Tribunal (IPART). In the Determination IPART confirms that significant operating cost efficiencies delivered by WaterNSW over the last two years have reduced costs for most licence holders on regulated rivers across NSW. Streamlined operations combined with innovation and rigorous scrutiny of all spending outlay has resulted in a 25% lower cost base. 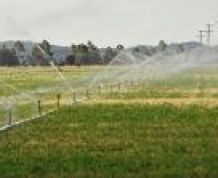 “With WaterNSW’s much lower cost base, fixed charges will drop in 8 out of the 13 rural valleys and usage charges will drop in all rural valleys,” Mr Harris said. “Most customers will receive substantial bill reductions in their WaterNSW charges. The majority of customers will enjoy bill reductions of more than 10%, with reductions in southern and central river valleys around 12% and coastal valleys seeing a close to 30% bill reduction. “It is very satisfying that our efforts over the past 2-3 years, deliberately aimed at increasing our efficiency of operation and passing on those savings to our customer base, have been successful,” he said. Further recognition of WaterNSW’s efficient operations is reflected in the absence of an efficiency dividend in the final IPART determination. WaterNSW will implement the new pricing regime from 1 July, 2017. Another highlight of the Determination is a significant reduction in costs for customers driven by changes to fixed versus variable tariffs - a change for which WaterNSW advocated in consultation with, and support of, customers groups and peak industry bodies. The results include an 80:20 tariff for fixed charges against usage in the Peel valley from 2018-19, which will reduce general security customers’ usage costs per megalitre by more than two-thirds ($56.25 to $18.75) in the second year of the Determination. Similarly a move to a 90:10 tariff structure for North Coast customers will lower costs per megalitre by 37% over four years, while the new 80:20 tariff in the South Coast will lower costs by 15%. IPART also endorsed WaterNSW’s revised methodology for restoring asset maintenance capital investment to more sustainable levels. This funding will initially cover a comprehensive asset renewal program that will ensure that the ongoing maintenance demands of infrastructure vital to WaterNSW operations are sustainable and will not compound upon future users.